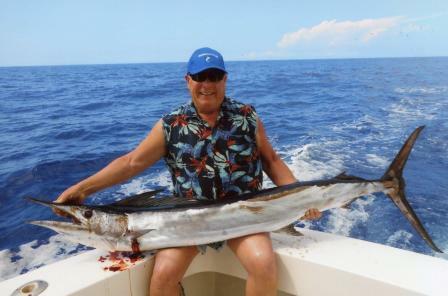 Pictured above is Lad Shunneson with his Short-Nosed Spearfish from Hawaii. 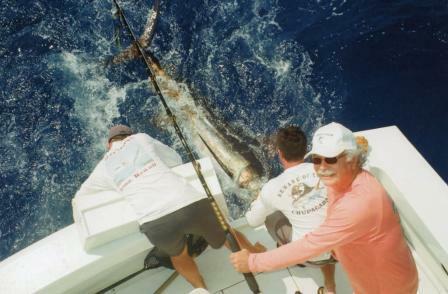 This was the 9th and last Billfish that Lad needed to qualify for the International Game Fish Association's BILLFISH ROYAL SLAM. The other required species are Atlantic and Pacific Sailfish, Atlantic and Pacific Blue Marlin, Black Marlin, Striped Marlin, White Marlin, and Swordfish. According to the current IGFA website, only 119 fishermen (107 men and 12 women) have qualified for the Billfish Royal Slam. Lad is well on his way to a second slam. Of those 119 already qualified, nine also have a second slam, two have three slams, and one (Mark S. Davis) has eight slams! 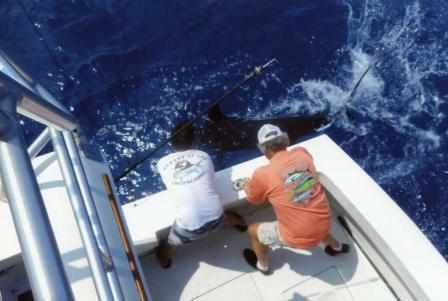 (plus chances for White Marlin, Atlantic Sailfish, Tarpon & Peacock Bass). Depart August 15, 2015 and return August 21. 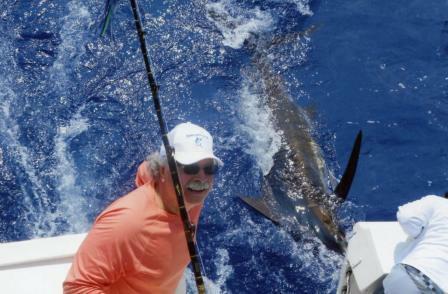 Rex Baker has already committed to join us on his quest for the 9 Billfish. The price is two to a boat for $3,850 each or one for $5,250 each with 3 days fishing and 1 day sightseeing... add $1,000 for 4 days fishing and 1 day sightseeing. Price includes food, lodging, boats (35' - 40' cruisers), all fishing gear and bait, captains, mates... everything except transport, drinks, and tips. 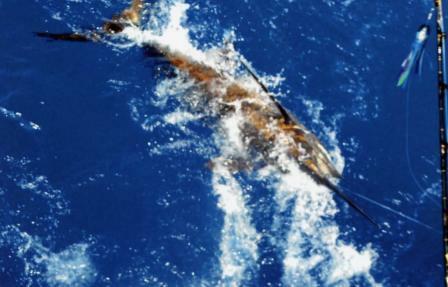 LAD BOOKS ALL 9 BILLFISH! !